Domestic and commercial carpets will eventually become soiled and stained, no matter how hard you try to guard against this. If you feel it is time to hire the services of a professional carpet cleaning company, contact AAAClean. We are an established business with more than ten years’ industry experience and we can all types of carpets, rugs, upholstery and curtains. For high quality carpet cleaning Kennington, you won’t need to look any further. Our Kennington carpet cleaners provide first-class customer service and cleaning results; when you book an appointment with AAAClean we can guarantee that it will be a smooth hassle free experience from start to finish. Our cleaners are always punctual, friendly and polite and they give their absolute best on every job. They only ever use commercial grade hot water extraction (HWE) machines and top quality cleaning solutions. 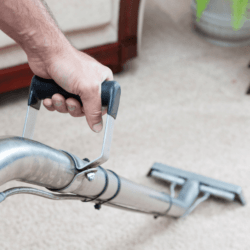 When you hire our services, you will be visited by a local Kennington carpet cleaner and they will fully prepare your carpets before they use their HWE machine – if your carpets are not correctly prepared prior to deep cleaning the final results will not be good enough. When stains and soiled areas have been pre-treated with the correct solutions a HWE machine is used to clean your carpets until they are spotlessly clean and look fabulous. Call AAAClean today – 0800 023 5205 – for more information on domestic and commercial carpet cleaning Kennington and to book an appointment. If you only require domestic carpet cleaning, you can use our online booking system, select the options you want and pay now or later. We are experts in all aspects of rug, upholstery, carpet and curtain cleaning and the No.1 choice in Kent and East Sussex for people who want the right results.